Column caps provide a high-capacity connection for column-beam combinations. 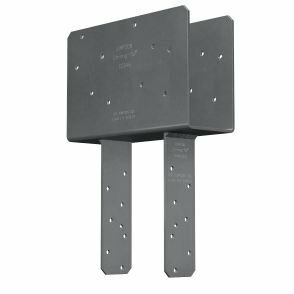 This design uses Simpson Strong-Tie Strong-Drive SDS Heavy-Duty Connector screws to provide faster installation and provides a greater net section area of the column compared to bolts. The SDS screws provide for a lower profile compared to standard through bolts.